When decoding Satellite telemetry you’ll need software that visualises the raw kiss data. When we are lucky, the Satellite builder has made a program we can feed the received kiss data and make this data visual and understandable. 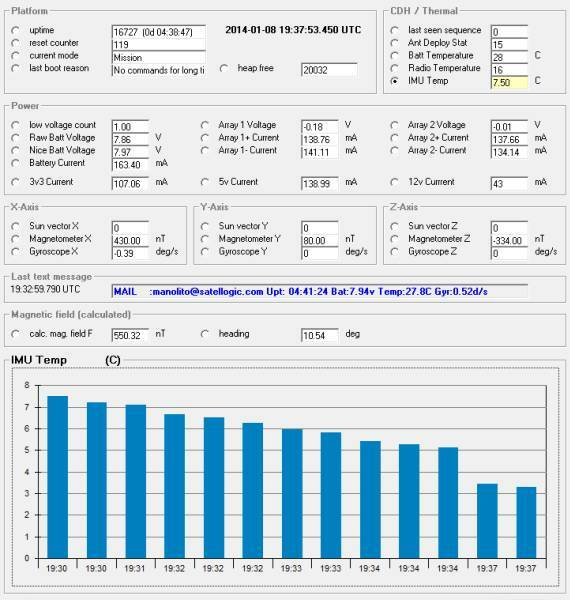 If the builder hasn’t made a program, then the website from Mike DK3WN is the place to look for a decoder that does this for you, when he is given the raw satellite explanation a decoder will be build and made available. Below a good example for the CubeBUG satellite. This is just a small list with version I now of at the moment, please send me updates and additional information to update this list. You can use the contact link to inform me. Thanks for your support.